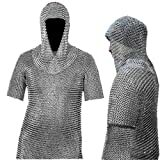 There will never be a tougher t-shirt than this cool new Medieval Chainmail T-Shirt. 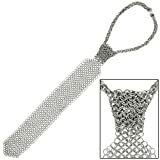 Yes, that's right, a real lightweight (20 pounds!) 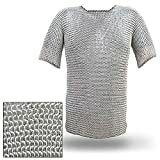 t-shirt forged from thousands of stainless steel metal rings. 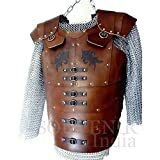 No proper knight would ever leave the castle without wearing this protective suit-of-armor undergarment and neither should you. 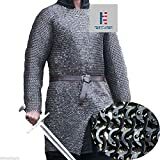 Simply wear it underneath your regular suit to the office and you'll be extra protected when someone loses it in the break room with a longsword, again. 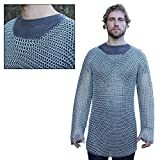 Makes an awesome casual Friday t-shirt or addition to your Renaissance Faire / cosplay outfit.